Daniel McFarlan Moore was one of the early innovators of the electric light. His work on the 'Moore Light' and research papers set the technical foundation for later creation of fluorescent lighting, mercury arc lamps, and cold cathode neon tube lighting. 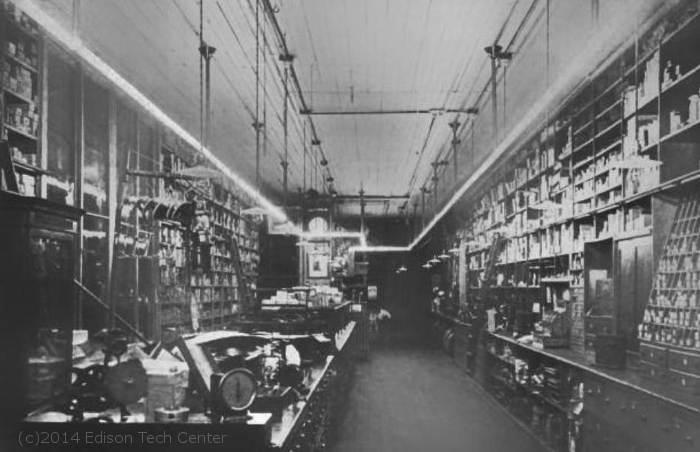 His new "vacuum tube" lighting caught the interest and imagination of the public in the 1890s and prepared people for what was to come. Above: Moore holds a specialized type of neon tube during a General Electric photo shoot in 1928. Moore was born in Northumberland, PA on February 27, 1869 and was the son of a reverend. He began working for Thomas Edison (1890) in the New York City area. He was fascinated by arc discharge lamps which were in early experimental form. Edison had a rudimentary lamp with green phosphors. Nikola Tesla had also done some rough early work on the subject. All of the innovators working in that field had been inspired by Heinrich Geissler's work 40 years before on the Geissler Tube. Moore left Edison and started developing his own new lamp design. Moore's most well known invention came in 1896 when he developed the Moore Tube. The Moore Tube consisted of a 2" tube similar to today's fluorescent tubes. The difference was that this tube was longer (6-8 ft lengths) and it had to be custom fit by a glass plumber. Unlike the fluorescent tube of today the Moore Tube was a high pressure tube. He figured out a method to pump the tube with high pressure CO2 and nitrogen and these gases became the medium for the arc. The 'Moore Light' became the principal attraction at the Great Electrical Show at the Grand Central Palace in 1896. 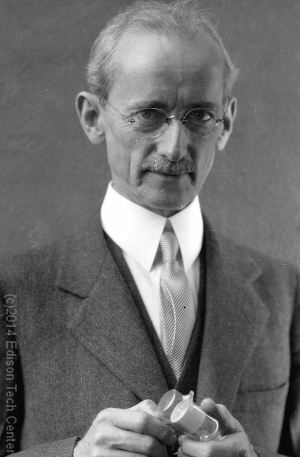 Moore wrote technical papers for the AIEE about the lamp: "A New Method for the Control of Electric Energy", "Recent Developments in Vacuum Tube Lighting". On a related note: Peter Cooper Hewitt was another lighting innovator in the NYC region who was aware of Moore's work. A few years after Moore he developed the first mercury vapor lamp, which used vaporized mercury instead of Moore's C02. Hewitt's work also merged with Moore's work later on with the creation of fluorescent lighting. 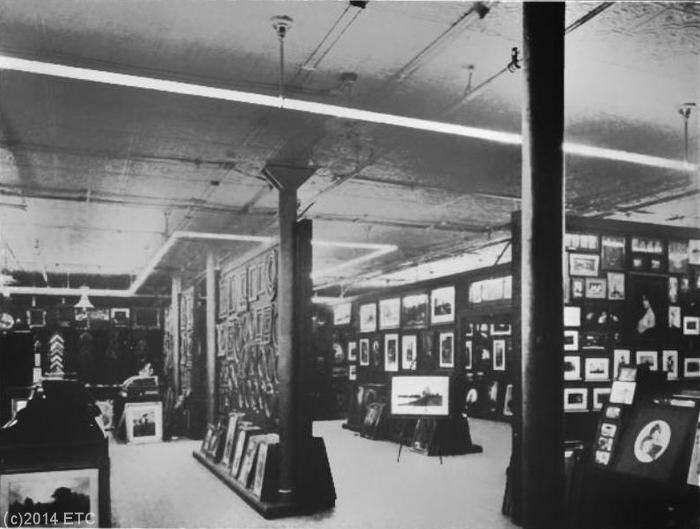 Above: The futuristic looking Moore Tube in a gallery in 1906. The obvious problem with this system was that it was not modular and flexible to interior spaces and changing needs. The Moore Light continued to gain fame. In 1898 during an electrical show at Madison Square Garden Moore lit a whole chapel. It was entitled the "Moore Chapel" and was described by papers as being "lighted with vacuum tubes". Moore toured the country putting on displays and raising capital. Daniel's personality was almost "bubbly". He had a great enthusiasm for his work and his personality contrasted with the negative 'doubtful' nature of Edison at the time. Moore's personality was sometimes a problem as his overly positive nature could also be confused with that of a charlatan. Time proved his claims correct as his understanding of physics and engineering was solid. "it consists essentially of a glass tube having electrodes at opposite ends and containing ordinary air highly rarified. With the continuous passage of an electric current, however the air becomes gradually more rarified on account of electrolytic action of the gasses in contact with the electrodes. This increases the rarefaction, and is as well known, beyond a certain density any further rarefaction increases the electrical resistance. Provision must therefore, be made for maintaining this resistance at a practically uniform point, in other words, of admitting air to the tube in extremely minute qualities and at regular intervals so as to maintain a constant pressure of the enclosed air." Maintaining precise pressure while letting just enough air in was the principal challenge. Moore overcame this by inventing a check valve which was almost frictionless and indestructible. He made it so sensitive it could detect 1/40,000th of an atmosphere difference. He used a component that had mercury in a glass tube, a solenoid and carbon cone. The Moore Light produced a color "warm and mellow hue with a slightly rose-colored tint". It was more pleasant than Cooper's mercury vapor lamp (the two lamps were competing for the industrial and commercial application market). Moore sometimes added other gases to the tube if the client preferred a different color. Efficiency was a key drive for the lamp so most clients preferred this standard warm look. Creating a more true 'daylight' white made for a less efficient light in his design. Moore started the Moore Electric Company and the Moore Light Company in 1894. 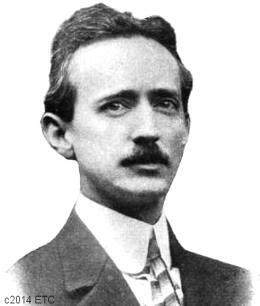 After the Moore Tube was perfected in 1898, the 10-lumen-per-watt performance put him in a position for potential success. Moore started selling installations to stores in the NYC and New Jersey region. Soon he was selling systems as far away as Russia and Switzerland. The Moore Tube's weakness was poor sealing technology. The lamps leaked gas and had to be refilled. The second major problem was that when a piece of the lamp was broken, the whole section had to be replaced and this took some time to have the lamp remade, installed and sealed again. In 1911 Coolidge developed ductile tungsten which made incandescent lighting competitive with the Moore Tube in the area of efficiency. Moore's systems continued but were not seen as a threat to the incandescent bulb. General Electric bought Moore out in 1912. 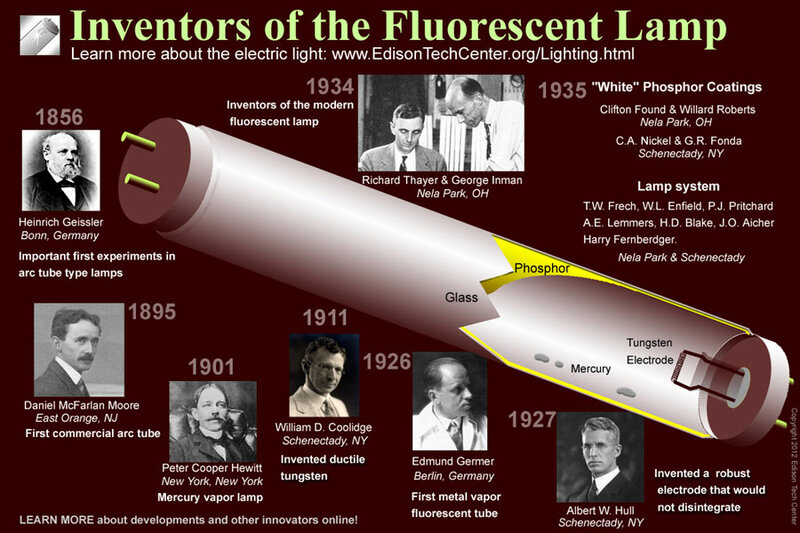 They acquired Moore's patents and help set the stage for the later development of the fluorescent lamp in the 1930s. Moore's office and labs was moved to the GE Harrison Works in New Jersey. D.M. Moore's longest lasting invention was the glow lamp. This little lamp uses coronal discharge to create a bright orange or red lamp. They were used as indicator lights on machinery for a long time. Today you can find them used in decorative lights. The popular flickering red electric candle bulb uses coronal discharge around a flame-shaped piece of metal. 1916: Moore develops a modified form of his Moore Tube which uses a mix of both carbon dioxide and neon. The color of the light was described as "The color of the light of which is exactly the same as that of the best quality of daylight". The Moore Lamps saw continued use in the textile industry where color temperature was very important. The lamps could not compete on the grounds of efficiency any more however. Daniel McFarlan Moore met a premature death when he was shot by a disgruntled rival inventor in 1936. Click on the image below to learn about how Fluoresent lighting works.